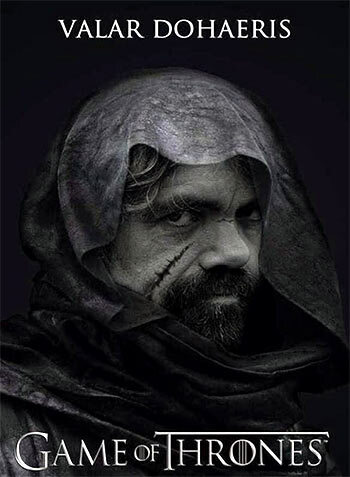 The opening episode of the fifth season may not really be worthy of a place in Game of Thrones Hall of Shockers, but it did have a very interesting end, promises show loyalist Mihit Govilkar. Over the last few years, the world of Westeros, created by G R R Martin, has riveted television audiences around the world. The much awaited first episode of the show's fifth season aired at 6.30 this morning on HBO Defined in India, bringing with it another excitement and anxiety-inducing season. The first episode set the stage for future events to unfold. As any GoT loyalist will tell you, speculating about future events on this show is futile. While the first episode was not really one of those ‘not to be missed’ ones, it gave enough fodder for eager fans to go into overdrive guessing about the future of the Seven Kingdoms. The Westeros story continues with the main characters -- Jon Snow, Stannis Baratheon, Daenerys Targaryen, Tyrion, Jamie, and of course, Cersei Lannister, who even now does not seem to have lost her edge. The one thing admirable about Cersei is her constant conviction and determination to be all-powerful and vengeful. Danaerys, the Dragon Mother, is seen to be losing her control over the slave city of Meereen. Her immaturity of age reflects in her decisions. There are signs of dissension in the ranks and only time will tell where that might lead to. The highlight of the episode was the dialogue between Lord Varys, the erstwhile ‘Master of Whisperers’ and Tyrion Lannister -- it threw up a bit of dust in the air and it will be extremely interesting to see how that settles. Of course, the end of every episode can't be as nail-biting as the last season finale. That said, though the opening episode may not really be worthy of a place in Game of Thrones Hall of Shockers, it did have a very interesting end.